The Berman Auto Group has been serving Chicagoland for over 25 years. 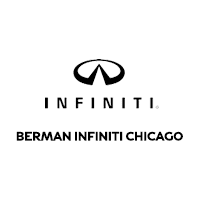 Berman INFINITI Chicago is proud to be a luxury automotive leader in Chicago. Since opening our doors, Berman INFINITI Chicago has kept a firm commitment to our customers to make the car-buying process as quick and simple as possible. You can trust that Berman will get you into the perfect car or truck with true professionalism and the attention you deserve. Whether you are in the market for a new INFINITI or a used car, truck, or SUV we will work to find financing options to fit any need or budget. At Berman INFINITI Chicago we are committed to providing an exceptional experience in INFINITI sales, INFINITI service, and INFINITI parts. We are your hometown Chicago INFINITI Dealer. For all of your automotive needs, there’s nowhere better to turn than Berman INFINITI Chicago. Not only do we offer a grand selection of new INFINITI models, but we also have a diverse stock of pre-owned models, too! On top of our attractive inventory of new and used vehicles, we also host a state-of-the-art Service Department for all of your maintenance needs, as well as a loyal Finance Department that is committed to ensuring you’re able to take home the vehicle of your dreams. We strive to cater to every one of our customers in the best way possible. To view the various types of cars, trucks, and SUVs that we have for sale, you can stop in at our dealership where one of our friendly sales associates will be more than happy to help you out in any way they can to ensure a happy and satisfactory car-shopping process. However, you can also take advantage of our Inventory tool right here on our website. This system displays our entire stock of new and pre-owned vehicles that we have for sale in an easy-to-view format. Not to mention, it also boasts a customization tool to help you further with your search – it’s as if one of our associates are right there with you! On the side panel, you’ll be able to choose from various categories to personalize your search. There are choices for make, model, year, price range, body style, and color! There are also selections available for engine type, transmission, and mileage. At Berman INFINITI Chicago, we provide our customers with great financing and leasing options for their new vehicle. We understand that coming up with a budget for one of our INFINITI models can seem like a stretch, which is why one of our Finance Department representatives will work with you one-on-one to create a plan best-suited for your individual needs. Whether you decide to lease or buy, we can assure you that we’ll find a contract or an agreement that adheres to your budget. Thanks to our impeccable Service and Parts Department, all of your maintenance needs will be satisfactorily met. From oil changes and tire rotations to routine checkups, your vehicle will receive the care and attention it deserves. Our technicians are well-versed in all aspects of auto maintenance, so you can rest assured that each service will be performed efficiently and diligently. As a part of Berman Auto Group, along with our sister stores Berman INFINITI of Merrillville and Berman INFINITI of Niles, we are more than just a dealership that sells and services vehicles; we are one that builds and maintains friendships with each of our customers for years to come. Make Berman INFINITI Chicago your one-stop shop for all of your automotive needs today! Proudly serving: Chicago Loop, Lincoln Park, Edgewater and surrounding neighborhoods.